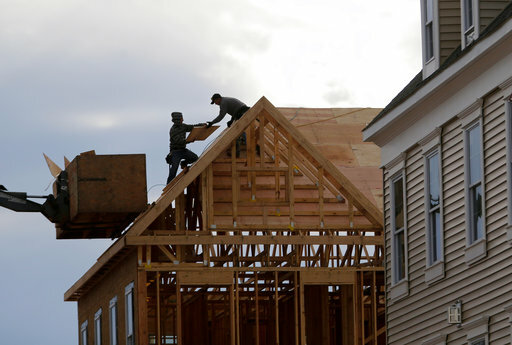 NEW YORK (AP) — Homebuilder confidence slid for the fourth consecutive month with steadily rising mortgage rates and sky-high home prices putting ownership out of reach for more and more Americans. The National Association of Home Builders/Wells Fargo builder sentiment index for April, released Monday, fell one point to 69. Any reading above 50 indicates more builders see sales conditions as good rather than poor, but it's the most extended decline since the run-up to the housing bust. The index has been above 60 since September 2016 and it hit a record high in December. April's reading is the lowest since November. Builders' view of current sales conditions fell two points to 75, the outlook for sales over the next six months fell one point, to 77. A measure of buyer traffic held steady at 51. The National Association of Homebuilders cited higher building material costs and a lack of land to build on as key reasons for the nick in confidence readings. The group said winter weather slowed building in some areas. 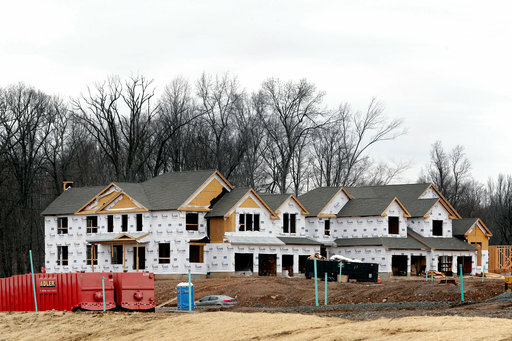 Also being shaken are investors, which have been selling off holdings in the nation's largest homebuilders. D.R. Horton Inc., Lennar Corp., PulteGroup Inc., Toll Brothers Inc., Beazer Homes USA Inc. and Hovnanian Enterprises Inc. have all fallen 11 percent or more since the start of the year. The S&P 500 is positive for the year even after a number of major sell-offs. The average rate on 30-year, fixed-rate mortgages edged up to 4.42 percent, mortgage buyer Freddie Mac reported Thursday. Rates have ticked steadily higher ahead of the traditional spring home buying season which is just now beginning to ramp up. While the National Association of Realtors reported a 3.1 percent jump in pending sales for February, that followed a 5 percent tumble in January and the index is still down 4.1 percent compared with last year. The U.S. releases April data on new and existing home sales next week. © Copyright 2015 AccessNorthGa.com All rights reserved. This material may not be published, broadcast, rewritten, or redistributed without permission.